Tablet Forming Machine Manufacturer In India. We are the largest making “Tablet Forming Machine” Manufacturers from India.We have been able to manufacture and supply a high quality stock of Tablet Forming Machine These Tablet Forming Machine are provided with one set of sizing wheels & tablet forming die. Our offered Tablet Forming Machine equipments are used in various industries for making candies, sweets and tablets of various shapes. The offered Tablet Forming Machine is available for the customers in different types of models and are also customized according to the required specifications. This Tablet Forming Machine is quality tested with the aid of knowledgeable analysts and then aligned for the final dispatch. Features Of Tablet Forming Machine: Low maintenance Longer service life Sturdy construction Tablet Forming Machine We are specialized in manufacturing and exporting our clients a precision engineered array of Tablet Forming Machine These Tablet Forming Machine mainly consist one set of sizing wheels & tablet forming die. The rope from rope sizer machine enters in this sizing wheel and then into the tablet forming die to get the required shape of Candy as per die to get required shape of Candy as per die. It is suitable for forming seamless sweets with high depth and thickness. The new version of Tablet Forming Machine (Plast-o-Plast) is designed with spring type die with bigger & robust punches. Our Tablet Forming Machine offer noiseless and trouble free performance for a longer duration and can be availed at competitive prices. 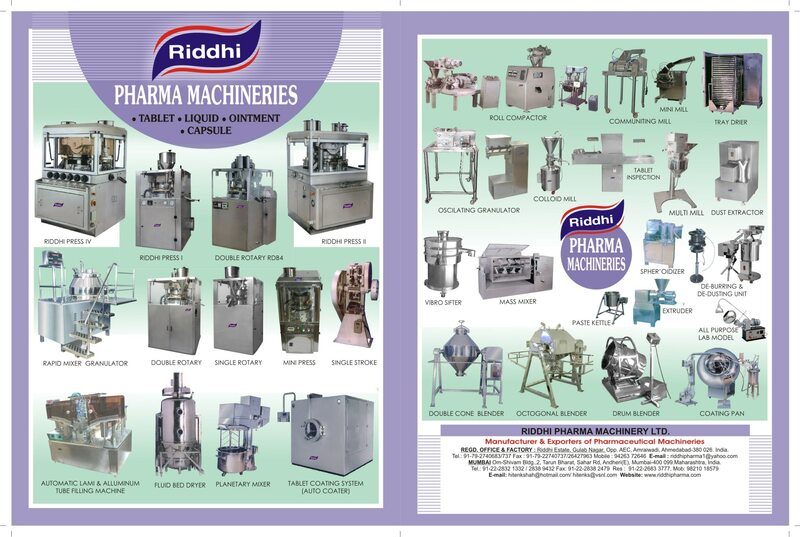 Rotary Tablet Press Manufacturer In India. We are the largest making “Rotary Table Press” Manufacturers from India.We have been able to manufacture and supply a high quality stock of Rotary Table Press These Rotary Table Press are provided with one set of sizing wheels & tablet forming die. Our offered Rotary Table Press equipments are used in various industries for making candies, sweets and tablets of various shapes. The offered Rotary Table Press is available for the customers in different types of models and are also customized according to the required specifications. This Rotary Table Press is quality tested with the aid of knowledgeable analysts and then aligned for the final dispatch. Features Of Rotary Table Press: Low maintenance Longer service life Sturdy construction Rotary Table Press We are specialized in manufacturing and exporting our clients a precision engineered array of Rotary Table Press These Rotary Table Press mainly consist one set of sizing wheels & tablet forming die. The rope from rope sizer machine enters in this sizing wheel and then into the tablet forming die to get the required shape of Candy as per die to get required shape of Candy as per die. It is suitable for forming seamless sweets with high depth and thickness. The new version of Rotary Table Press (Plast-o-Plast) is designed with spring type die with bigger & robust punches. Our Rotary Table Press offer noiseless and trouble free performance for a longer duration and can be availed at competitive prices.